Are Japanese motorcycles more reliable? 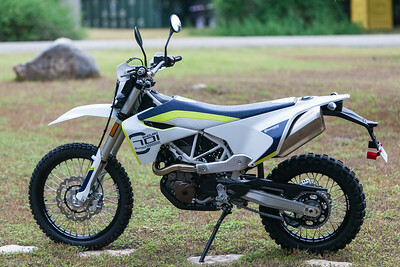 It’s an interesting time in history for dual sport bikes (street legal but off-pavement capable motorcycles weighing 300-400 lbs). What makes it so interesting is that there is a very distinct duality in the dual sport world. An old versus new situation, with little else being available. On one side are the Japanese manufacturers which, with just one exception, only sell very old technology dual sport bikes in the USA. 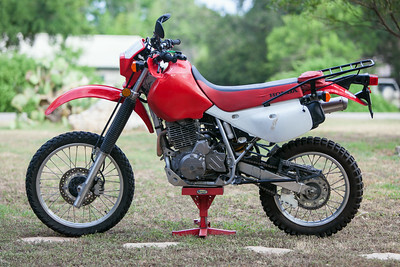 For example, Honda sells the XR650L which has been unchanged for the past 26 years. Kawasaki sells the KLR650, which has had one update in the 31 years. Suzuki’s DRZ400S is going on 18 years with no changes. On the other side, the European manufacturers don’t sell old-school motorcycles. Everything the Euros are selling in the USA are modern bikes with regular upgrades. For example, Husqvarna released the 701 Enduro in 2016 and then promptly updated it with an entirely new motor in 2017. So fans of dual sport motorcycles, of which I’m one, get two basic choices – inexpensive Japanese bikes with very old technology or significantly more expensive Euro bikes with modern technology. Japanese bikes are more reliable. Japanese bikes are easier to repair when you break down in less-developed countries with few motorcycle service shops. This particular commenter was addressing my comparison of the Honda XR650L to the Husqvarna 701 but I’ve seen the same sentiments expressed about other makes & models. Let’s talk about the supposed superior reliability of Japanese motorcycles over Euro bikes first. The major challenge with debating reliability is the lack of any actual supporting data. I have yet to find any public reports on the reliability of any motorcycle brand. While I think that riders generally believe that Japanese bikes are more reliable than other brands, that belief is never backed up with any verifiable data. We don’t have any real numbers – facts, figures, studies, etc – comparing long term reliability of one brand of motorcycle to others. Consumer Reports informs us of the expected reliability of any make or model automobile but does not offer the same insight when it comes to motorcycles. Which leaves us all guessing as to the actual long-term reliability of any brand or model of motorcycle. I’ve personally owned two KLRs (one 1st gen, one 2nd gen), two DRZs, one Honda XR650L, one KTM 500 EXC, and three Husqvarnas (TE610, TR650, 701 Enduro). My personal experience has been that the KTM and the three Huskys were noticeably more reliable than any of the five Japanese bikes. The first KLR I owned had multiple issues, one of which required a new head. The second KLR was an oil burner from day 1 and had electrical issues which left me stranded on the side of the road a long way from home. The DRZs were the most reliable of the Japanese bikes I’ve owned but both had multiple minor issues. The “deathproof” Honda was the least reliable motorcycle I’ve ever owned, also leaving me stranded on the side of the road a long way from home. The motor had to be rebuilt twice during the time I owned it at a cost of several thousand dollars. In comparison, I put almost 20,000 miles on the TE610 – twice as many miles than I put on any of the Japanese bikes – and had one significant issue during that time. The rectifier fried, leaving me stranded on the side of the road. I never had any issues with the TR650 in 10,000 miles of ownership. I’ve put 5,000 miles on the KTM with one minor issue (the horn bracket broke). I’ve only put 3,000 miles on the 701 and though it’s a bit too early to judge long-term reliability I’ve had no issues yet. None of the above is to suggest that Japanese motorcycles are not reliable or that Euro motorcycles are more reliable than other brands. There is no way to tell if my personal experiences with the motorcycles I’ve owned is representative of other’s experiences owning the same model bikes. For example, none of us have any way of determining the overall reliability of the XR650L compared to similar motorcycles. Were the issues on my XRL an anomaly or have other XRL owners experienced similar issues? Unfortunately, we have no way to tell. All that being said, my personal bias is that there likely isn’t any real difference in reliability amongst the various major motorcycle manufacturers. I suspect that they are all about the same when it comes to reliability. But that’s one man’s opinion – unsupported by any verifiable facts or figures. And the same goes for everyone else’s opinions too – there is no definitive data to prove the point one way or the other. Riders, I have reluctantly cancelled the Hill Country 500 scheduled for this weekend. The weather simply isn’t cooperating with all the rain we’ve had the last few days and with more on the way. I will reschedule the ride in the Fall.